1990 Irwin 52 Likely the BEST and most comfortable Sailing Cruiser ever built this offering is unique in its ability to be single handed. 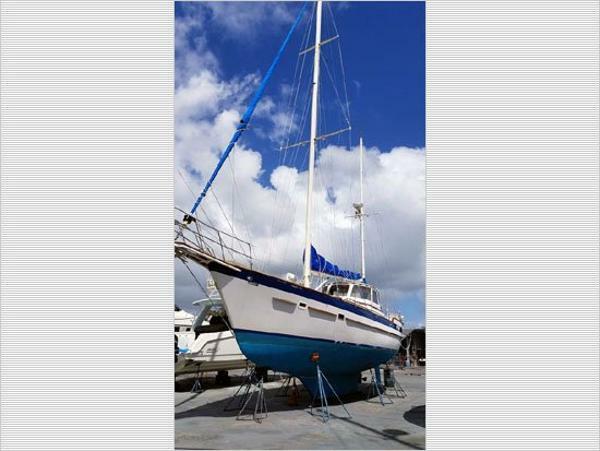 Upgraded equipment, tall mast and power primary winches allow ease of handling and ability to sail in weather conditions most others would run for shore! Condition is exceptional cosmetically and mechanically, All equipment is well documented and constantly upgraded to be simple to run and rewarding to own,come see this soon! CARIBBEAN STAR has a 3 cabin layout. 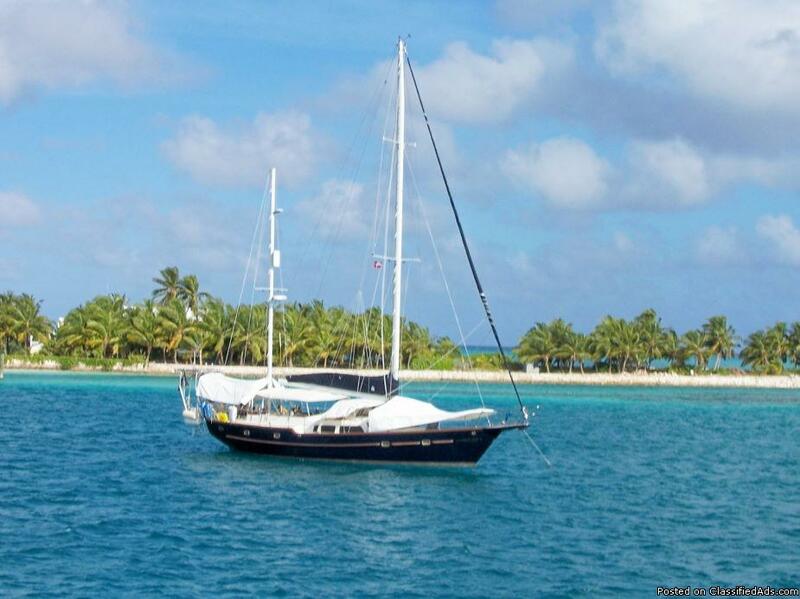 Simply a beautiful spacious well-equipped blue water sailing yacht that can take you wherever you desire. Complete makeover in 2006. 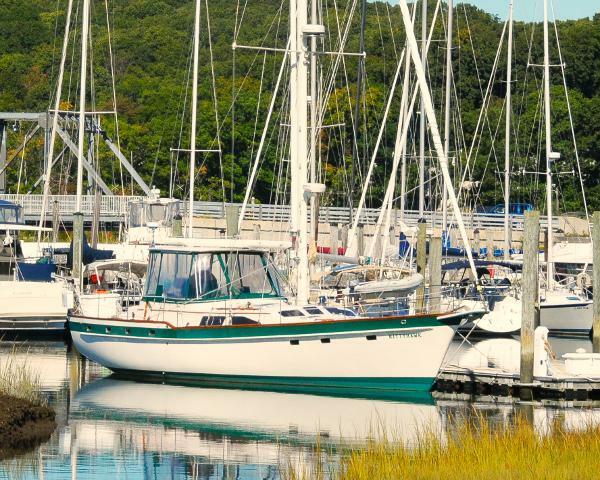 A live-aboard's dream! Roller-reefing genoa w/star logo. New mailsail 2014. Roller-reefing mizzen. Amenities below include a spacious salon w/2 leather recliners, a sofa & 3 comfy, movable, swivel chairs. Galley w/upright refrigerator/freezer, ice-maker, 200 gal/day water-maker, microwave, dbl sink, 3 burner propane stove w/oven, washer/dryer. 3 sleeping cabin layout w/2 full heads w/showers, aft also w/tub. 3 AC units for cooling. Aft cabin will reverse for heating. Electronics: 2 Garmin chart plotters w/radar, sonar, depth sounder interfaced w/Robertson Commercial Grade autopilot. 2 VHFs & SSB w/insulated backstay. Wind generator, 2-130 watt solar panels, 3000 watt inverter, 15 KW Lister genset, 6 man Winslow life raft w/EPIRB & supplies. 12' AB hard-bottom inflatable w/15 HP Yamaha. Too much more to list. Must see. Located in Punta Gorda Isles. Contact Don 941-505-0121.